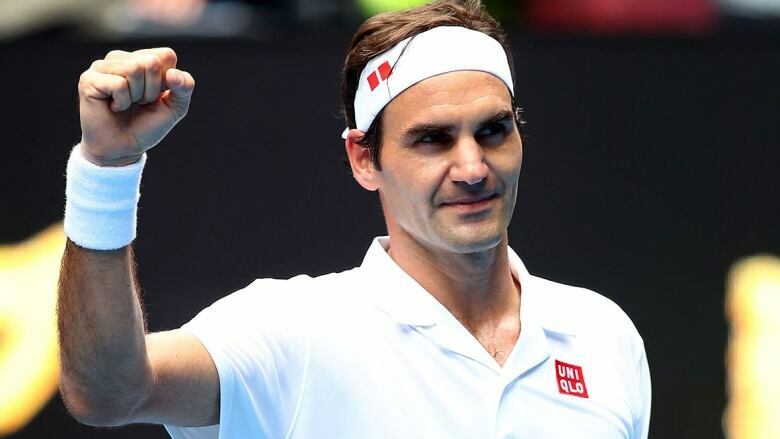 Roger Federer, chasing a men's record seventh Australian title, won 7-6 (5), 7-6 (3), 6-3 over Daniel Evans at the Australian Open, while Rafael Nadal beat Matthew Ebden 6-3, 6-2, 6-2 to move to No. 3 on the list of match wins at the Aussie event in the professional era. Roger Federer, chasing a men's record seventh Australian title, won 7-6 (5), 7-6 (3), 6-3 Daniel Evans at the Australian Open on Wednesday. The father of- four clearly takes workplace safety seriously. A sprinkling of rain over Rod Laver Arena during the first set of his second-round match prompted the question from the chair umpire as to whether the weather was OK to keep playing in. Rafael Nadal picked apart second round opponent Matthew Ebden 6-3, 6-2, 6-2 to move to No. 3 on the list of match wins at the Australian Open in the professional era, and extended his record of never losing a second-round match at Melbourne Park. The second seed overcame an early first-set challenge from the Australian, who should have secured a break-of-serve with the scores locked at 3-3. Ebden missed a backhand volley off an unexceptional passing shot — and it proved costly. The Australian was broken the next game, succumbing with a double-fault, and the Spaniard went through the broken line of defense. "I started a little bit slow ... then I saved that game at three-all," Nadal said. "After that, things changed. I think I played well." Two-time Grand Slam finalist Kevin Anderson let a sizeable lead slip away amid problems with his serving arm and lost to 20-year-old Frances Tiafoe 4-6, 6-4, 6-4, 7-5. Marin Cilic capped a 25-ace performance with a pair to serve out a second-round victory, beating 81st-ranked Mackenzie McDonald of the U.S. 7-5, 6-7 (9), 6-4, 6-4. Stefanos Tsitsipas is closer to a potential meeting with defending champion Roger Federer. The Danish player will next play Maria Sharapova. Sharapova, whose five major titles include the 2008 Australian Open, had a 6-2, 6-1 win over Rebecca Peterson in Wednesday's last match. Sloane Stephens took a 6-3, 6-1 win over her former junior doubles partner Timea Babos. American teenager Amanda Anisimova advanced with a 6-0, 6-2 win over 24th-seeded Lesia Tsurenko. The brightest local hope for an Australian Open women's title in decades is through to the third round. Ashleigh Barty beat Wang Yafan 6-2, 6-3 in a Rod Laver Arena match.